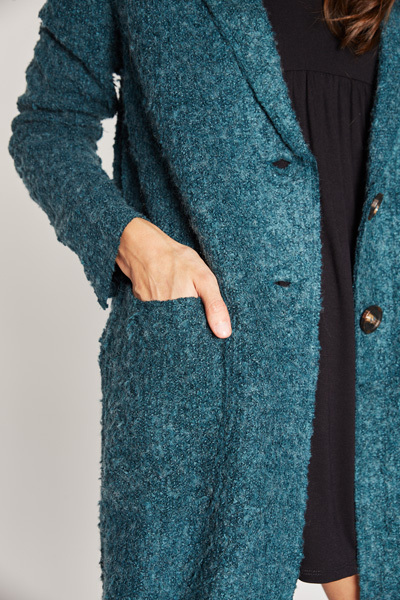 This chic little boucle textured jacket will be the most unique addition to your winter wardrobe! The material is an extra thick boucle knit, made from an acrylic blend. Jacket features a double button front closure, and pockets! Fit is oversized. Model is wearing size small.